Nick Wiese, CCA Adult and fundraiser, hands over the keys to Adam Freiss, the winner of CCA's first car raffle. The drawing took place on October 1st. 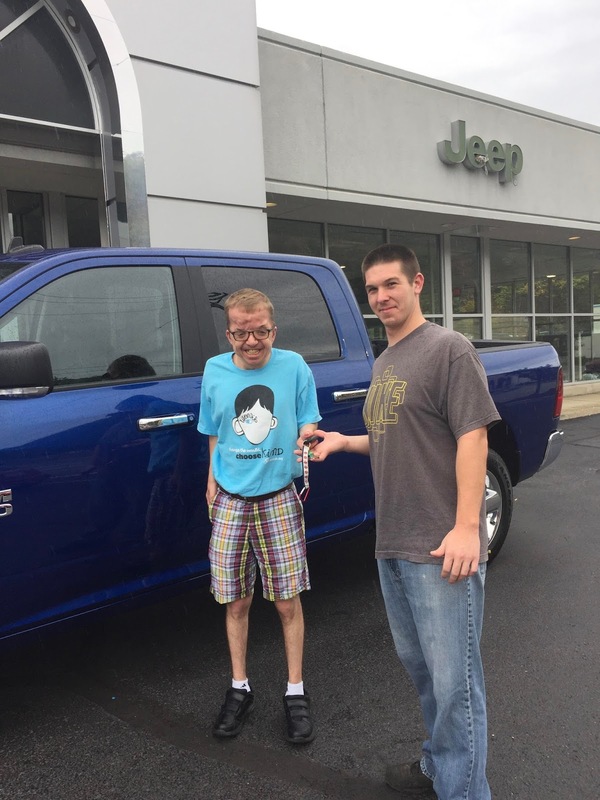 Mr. Freiss had a choice of a Dodge Ram, Chrysler Pacifica, or a Jeep Wrangler. He chose the Dodge! Thank you to everyone who bought raffle tickets. We really appreciated everyone's participation.